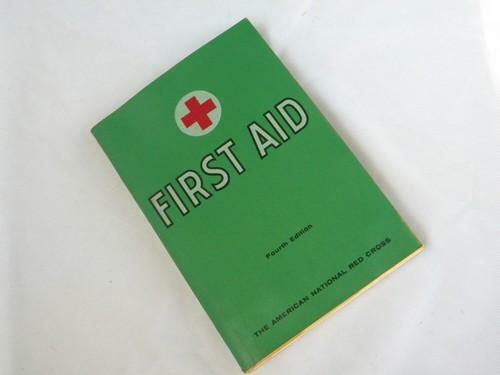 Vintage American Red Cross First Aid book. 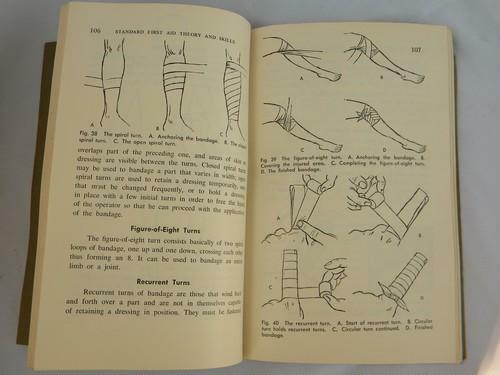 This is the fourth edition (copyright 1957) and 27th printing (1967). 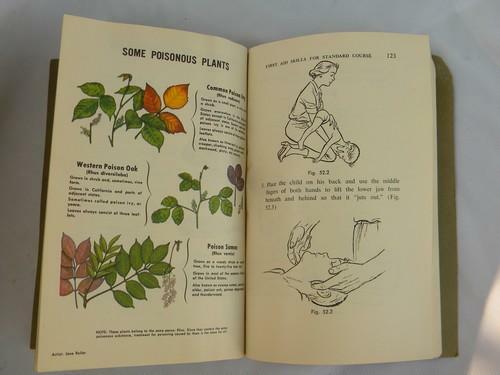 It has about 269 illustrations including color illustrations of some poisonous plants (poison ivy, poison oak, and poison sumac) and some poisonous snakes as well as the human anatomy. This book does have some water staining to a number of the pages at the front and the back.